Sometimes, you need to define window frame within the table on the basis of certain criteria, to pick up some specific data. Today, I was developing one report for my customer and the requirement was very simple, to find the people with minimum wage in each department. We do have the solution using RANK(ROW_NUMBER) function. 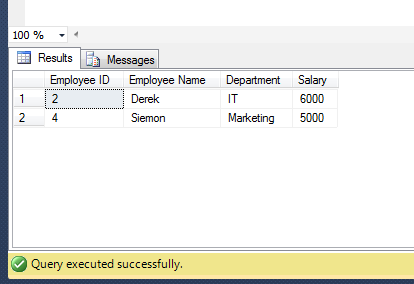 However, we can achieve it using FIRST_VALUE function (Shipped with SQL Server 2012) as well. Let me create a sample to demonstrate the script. This is an old method and we have been using it since SQL Server 2005. We use a Ranking Function namely ROW_NUMBER in this solution to find the minimum value in the group. Given below is the script. We will use a new analytic function namely FIRST_VALUE in this solution to find the minimum value in the group. Given below is the script.